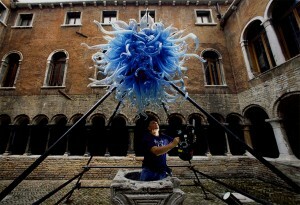 Michael W. Barnard shooting the feature documentary “Chihuly River Of Glass”in Venice, Italy. This award-winning film (also directed by Barnard) was shot in Finland, Ireland, Mexico, U.S.A. and Venice over a 2-year period. 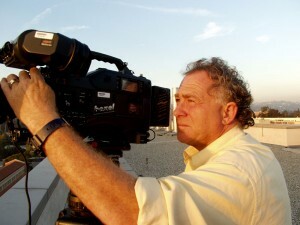 Barnard and company went on to make four additional films for famed glass artist Dale Chihuly. Poster for the feature film produced & directed by Michael. Now being distributed by House of Film. Barnard shooting part of the 13-year HD documentary produced by LightningBolt PIX about the design and building of the new Reagan -UCLA Medical Center. 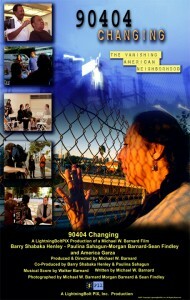 A feature film and a 13-part series will be made from the nearly 300 hours of footage taken from 1995 -2008.